I was having the gals over for dinner and there was a Mexican theme. Since I am still on a popsicle kick, I decided to make Mango Lime Chile Popsicles. I found this recipe at saveur.com but ended up using a tweeked version of this one. 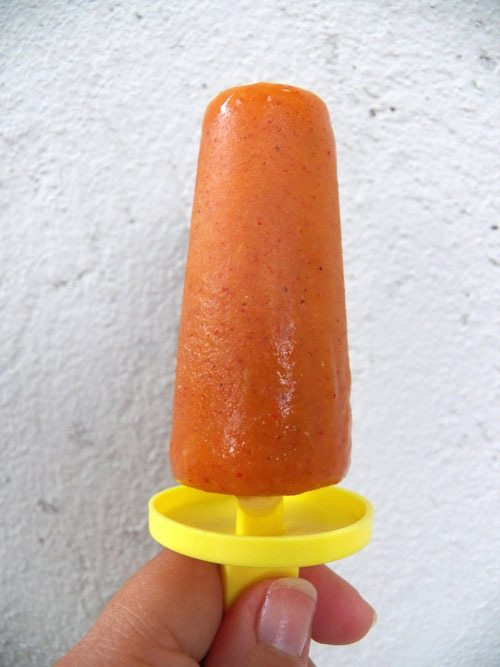 Blend it all together and then freeze in popsicle molds. They are pretty intense for a popsicle! They remind me of the candy my friend Kenn used to bring from Mexico.